Irrfan Khan And AIB Are Back Again, This Time With An Amazon Prime Show! 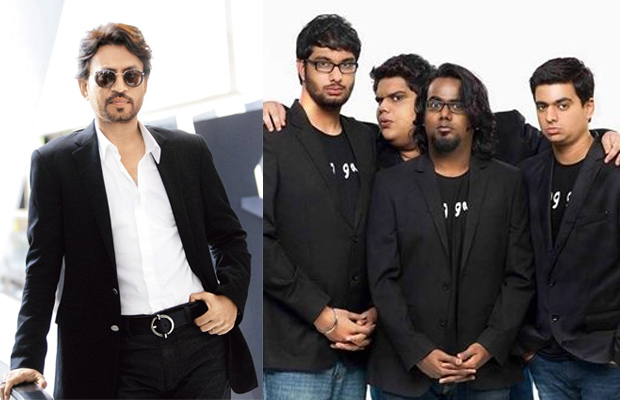 It was in 21015 when the very uber cool Irrfan Khan swayed to the Party Anthem by AIB and became an instant viral star! The youth approved and the video became a huge hit with song lyrics taking a dig on the various party songs in Bollywood which use the cliches and still manage to impress each time. The absolute wonderful collaboration of AIB and Irrfan Khan are back again, this time for something more meatier. With the growing increase of original programming on streaming apps in India, Irrfan is all set to feature in an original series for Amazon Prime. Written by the creative minds of AIB, the show is a 10 part series and is titled The Ministry. The show is a political satire and will be shot in March 2017 and will premier in Mid next year. This becomes part of the 9 original titles announced by Amazon Prime so far with Powerplay being their maiden production starring Richa Chadha and Vivek Oberoi. It would indeed be interesting to see a name like Irrfan on a digital platform working his acting magic! Next articleR Madhavan To Address Indian Conference At Harvard Business School In USA!